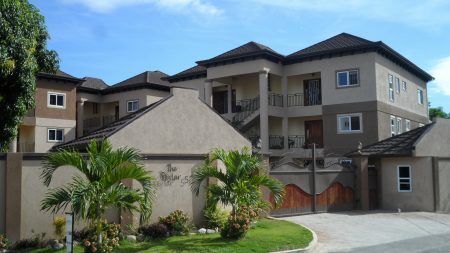 Apartment complex in Kingston – Real estate values to benefit from low interest rates. Declining interest rate is a huge buy signal for both stocks and real estate investments, if the fall is expected to last. 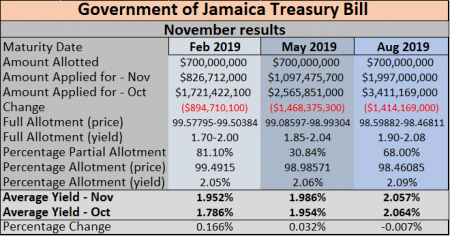 Interest rates have fallen to the lowest levels on record, in Jamaica and while the low rate of 1.7 percent in treasury bills won’t last forever, it is expected that it will not go up too far from current levels any time soon. 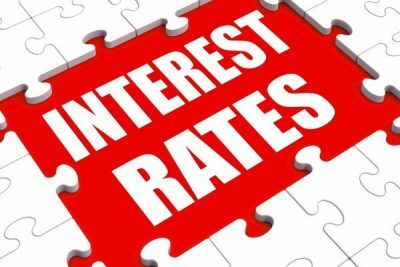 In May this year, Bank of Jamaica cut the overnight policy rate, by 25 basis points to 2.5 percent that along with a further decline in short term Treasury bill rates on Wednesday. IC Insider.com stated then, that the moves provided more ammunition for a big surge for Jamaican stocks. The piece went on to state that with a 15 percent fall in BOJ’s policy rate in 2018 so far, stocks are lagging behind, with an increase of just 6.6 percent for the Junior Market and 4 percent for the main market. The fall in Treasury bill rates was far greater than the rise of the All Jamaica Composite Index, an indication of a lot more upside for stocks based on the downward movement of interest rates. Investors seem to be focusing more on profits in valuing stocks than on interest rates so far. That will change. The fall in the overnight rate, translates to a 9 percent rise in stock market prices, but rates seem likely to decline some more before settling off, providing more ammunition for more gains in stock prices. We stated that with the fall in interest rates, the PE of money is at the high end 40 times income and using corporate bond 12 times, but the PE ratio should be more tied to Treasury Bill rates and that PE is now in 30 range but stocks are mostly in the low teens and below. IC Insider.com further stated that most investors did not appear to be paying much attention to the tsunami that was on the way that will see prices move sharply higher. Some were skeptical about the assertion that the fall in interest rates could drive stock prices. The record is clear as there are two main developments that drive stock prices – interest rates and profits. With just over five months passing, investors have not only warm to the fall in rates but many are not willing to part with their stocks. Late comers to the party will pay much higher prices than in May and June. Up to Friday the Junior Market is up 24 percent and the Main market is up 31.7 percent and rising. 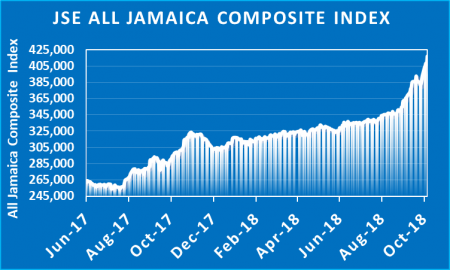 Technical reading of the market suggest that the Main market has another 25 percent run to make before probably cooling for a charge to 720,000 points on the All Jamaica Composite Index in 2019. The fall in interest rates makes it cheaper to buy real estate with lower interest rates for each dollar borrowed. Additionally, investors will switch funds from fixed interest investments into stocks and real estate thus driving up their values. Interest rates essentially remained stable based on the latest Treasury bill auction that took place at Bank of Jamaica. The moved but was just modestly higher with a few basis points increase. Applications were opened on Wednesday, at the Bank of Jamaica for $700 million Government of Jamaica Treasury Bills dated Friday, September 14, with maturity on Friday, December 14, 2018 for a 91 days duration. The Average Yield came out at 1.7093 percent with partial allotment at 2 percent. The offer attracted bids of $932,026,500. The latest T-bill rate comes against the back ground on the central holding their overnight policy rate at 2 percent. At the auction in August, the 91 days Treasury bill cleared at an average of 1.694 percent with partial allotment at 1.756 percent. At that auction $1.863 billion chased after the $700,000 on offer. The 182 days instrument ended with an average rate of 1.878 percent with $2.53 billion going after the $700,000 in August.